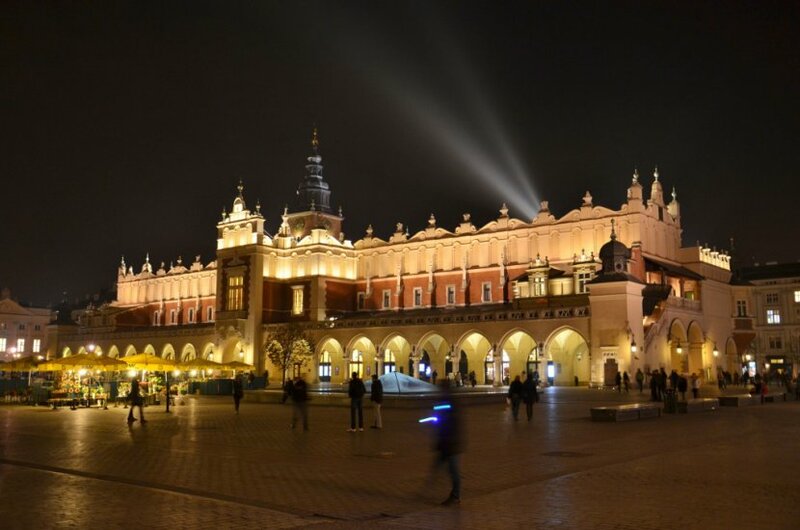 The iconic glory-piece at the centre of Kraków’s market square, there is proof that a structure of some sort has existed on the site of the Cloth Hall (Sukiennice) since the mid-13th century. 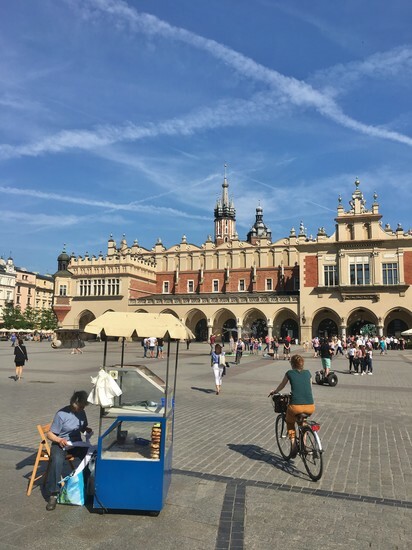 Originally resembling two rows of stone trading stalls with a thoroughfare running between them, a roof was erected over them around 1300 before King Kazimierz the Great approved the construction of a purpose-built trading hall in the mid-14th century. 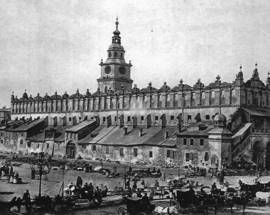 As a result, Kraków’s importance as an east-west trading post increased; though the name ‘Sukiennice’ refers specifically to the trade of textiles and fabrics, Kraków’s Cloth Hall saw an array of commodities bought and sold in its merchant stalls including wax, spices, leather and silk, as well as lead and salt from the nearby Wieliczka mines. After a fire destroyed the building in the mid-16th century, the Sukiennice underwent a Renaissance facelift overseen by Jan Maria Padovano (1493-1574) featuring brilliantly deformed gargoyles by the Italian-Polish sculptor Santi Gucci on the façade. 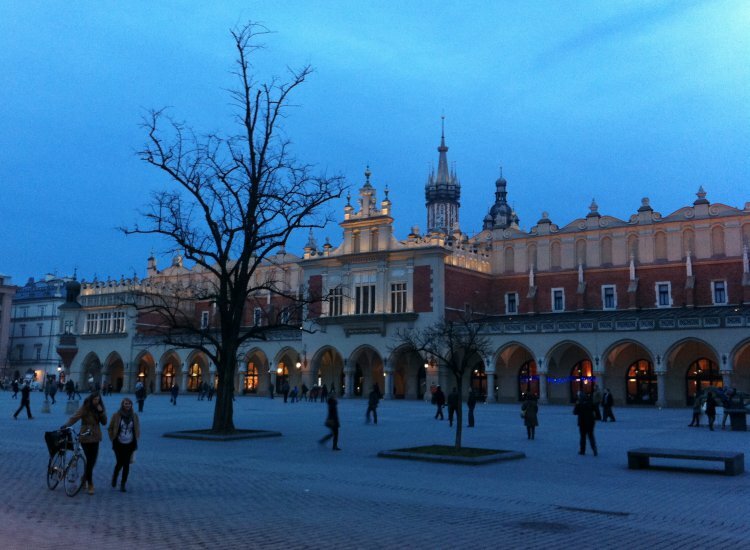 At this time the Cloth Hall was probably the most magnificent building in all of Kraków. 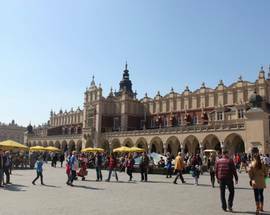 By the mid-1870s, however, Poland had been partitioned for nearly a century and the Cloth Hall was in a rather decrepit state. 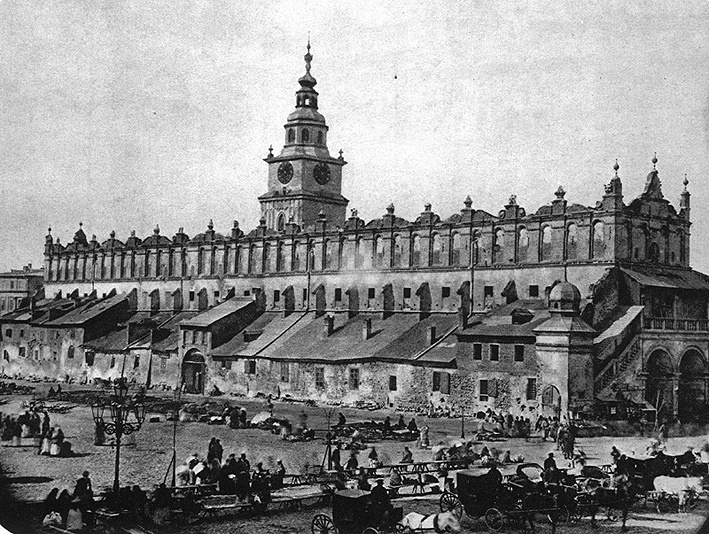 Between 1875-79, while the city was part of Austro-Hungarian-controlled Galicia, many of the outbuildings were torn down and the neo-Gothic colonnades and outside arcades were added by Tomasz Pryliński, a student of Jan Matejko. 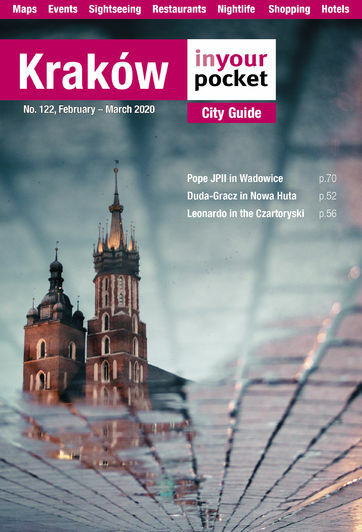 The interior was converted into a series of wooden stalls and on October 7th, 1879 the Kraków City Council voted to give half of the upper floor of the Cloth Hall over to the creation of the first Polish National Museum. 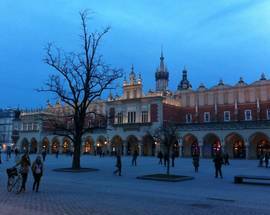 It quickly became the focal point for a huge celebration of Polish patriotism attracting Poles from all three partitions as well as those from self-imposed exiles abroad. The 20th century saw ongoing development of the building with the most significant work being carried out in the late 1950s when much of the 19th century interior was replaced. 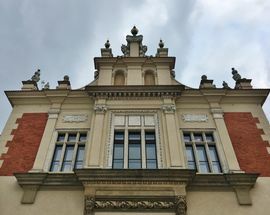 By the start of the 21st century, however, the building, particularly the display areas inside, was in poor condition and unprepared for the demands of a 21st century museum or shopping area. 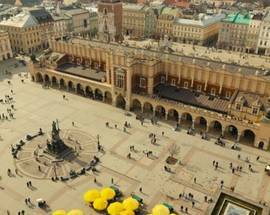 Beginning in August 2006 and lasting over 4 years, the building was given a complete re-modelling with lifts, air-conditioning and new natural and artificial lighting installed. 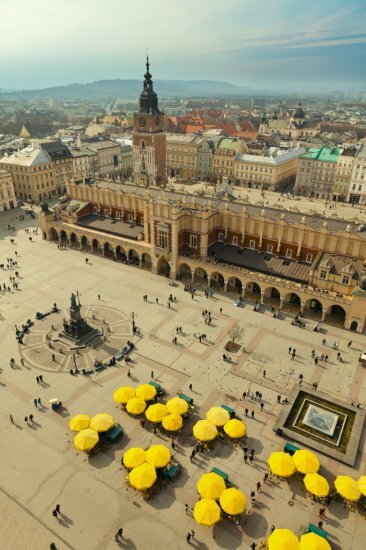 Where once were sloped roofs, you will now find lovely terraces - one of which is occupied by Cafe Szał - overlooking the square below and St. Mary’s Basilica opposite. 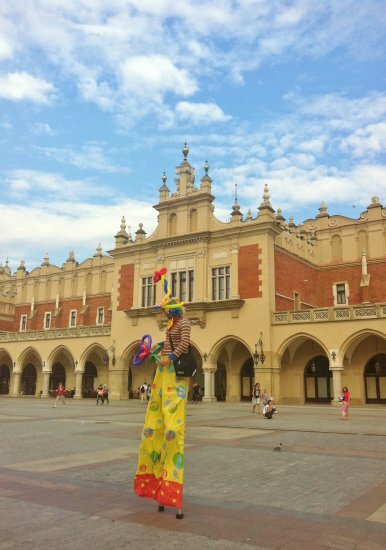 In spring and summer you can take advantage of them via the entrance to the 19th Century Polish Art Gallery. 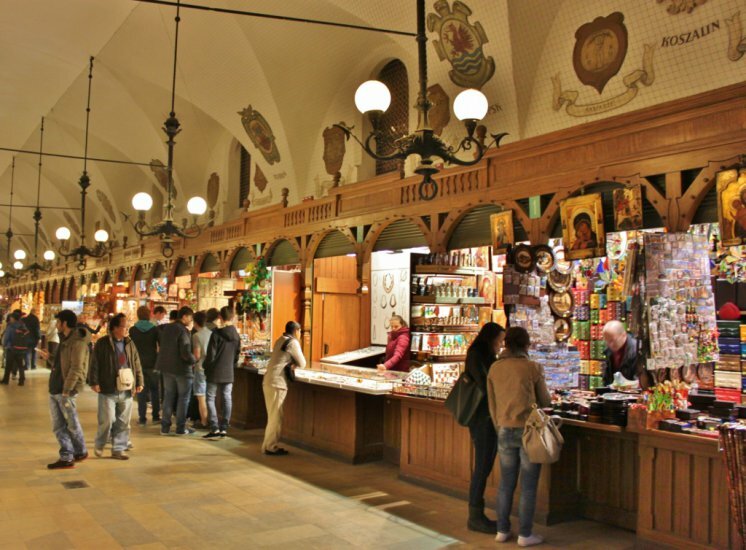 Having visited the Art Gallery or the Rynek Underground museum take a break by visiting the Noworolski Cafe for coffee and round it off by picking up a souvenir in the arcade within the Cloth Hall, where you’ll find all sorts of handicrafts, amber and other local products at surprisingly reasonable prices. 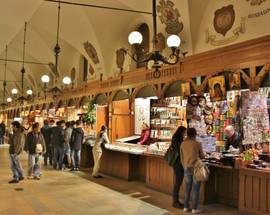 And you’ll have the experience of shopping in what is basically a 700-year old shopping mall. 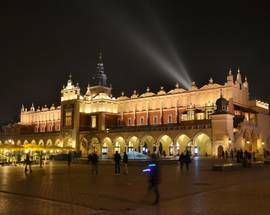 Went there in June for the second year running for two weeks and cannot wait to go back again next year next time in September.My friend and I just love Krakow and all it has to offer.I have visited many countries and Poland and it's people are by far the best.